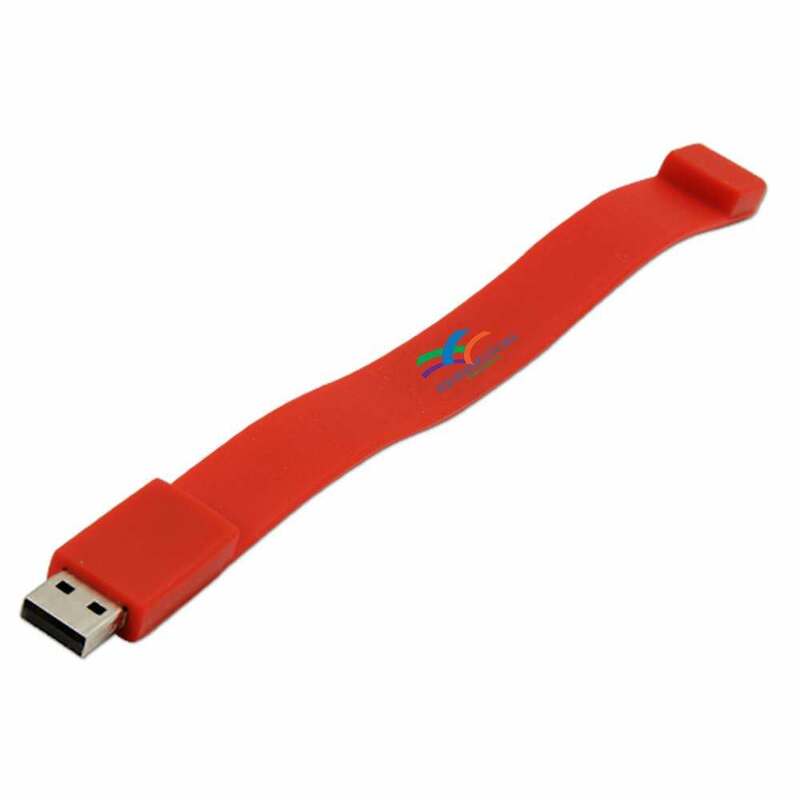 Get a flash drive and wristband in one piece with the Wristband USB. Sporty, modern, and aesthetically pleasing, these promotional USB drives have all your must have features for easy advertising. Easily transport data while proudly displaying your branded message at the same time. 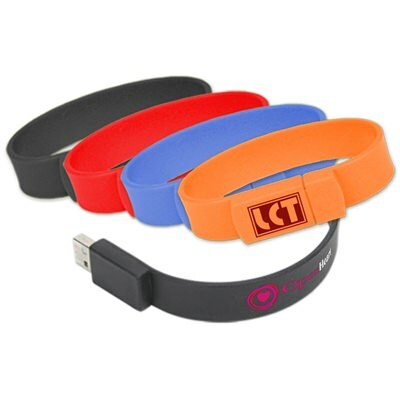 Customers love this athletic fashion accessory that doubles as data storage. Great for energetic companies looking to expand their brand. This promotional item works both as a tech and fashion accessory, allowing you to snare potential customers in on novelty alone. 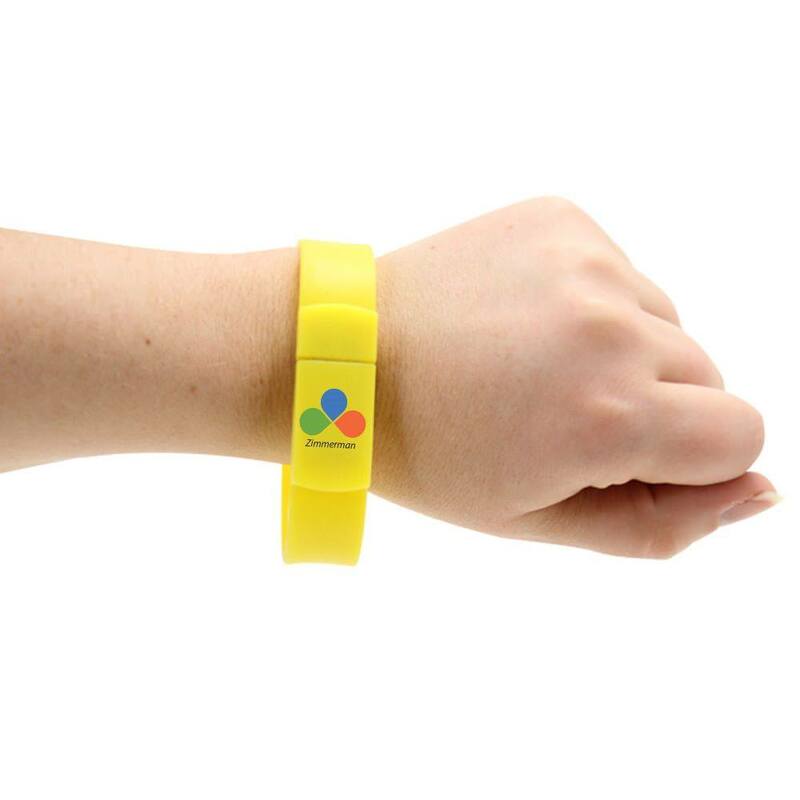 The Wristband is a very useful method for reeling in potential customers and keeping current ones happy with your business. It appeals to young and old demographics with its fashionable aesthetic that comes in a rainbow of color schemes and is made of soft PVC so it’s not harsh on the skin. The port is tucked away safely and easily accessed by unbuckling the snap, which also functions as the wristband closure. It is wearable data storage at its finest and can be silkscreen printed with your logo to keep customers talking.